(Newser) – Forget everything you've heard about Paul Ryan's good looks: He is officially not that handsome, according to a Harvard study. 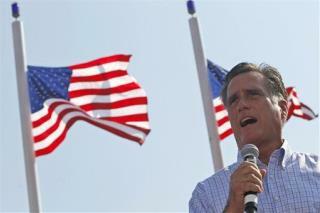 Mitt Romney, on the other hand, is quite the looker, the National Journal reports. In the study, undergraduates were flashed images of politicians for a single second each. Romney ended up in the 99th percentile, Washington Monthly reports—and the students made their judgment in 2007, when Romney wasn't so well-known, thus removing political bias, the researchers say. Some voters will actually find that to be a reason to vote for him. Mitt's no hottie. He's the lump of coal in your Christmas present. I don't know who they're asking but no one I know finds him attractive.